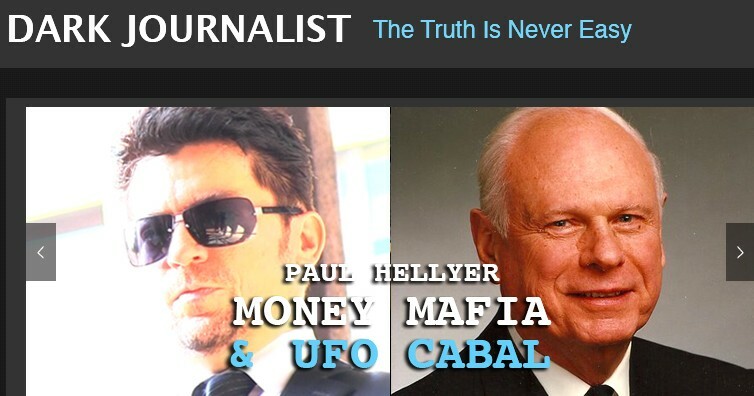 Join Dark Journalist in the exciting, historic and eye-opening interview with the Former Defense Minister of Canada: The Honorable Paul Hellyer. Together they discuss Mr. Hellyer’s controversial new book, 'The Money Mafia: A World in Crisis,' a severe indictment of the global financial system and the covert elite power groups that form a corporate new world order. Mr. Hellyer says World War III will be between the Big Banks and the average citizens of the world! He compares the present centralized, corrupt money system as a serpent that is slowly squeezing the life out of people everywhere and says if it is not stopped we will all be turned into debt slaves! He calls for immediate action to reverse course on the destruction of the environment and the restoration of privacy rights being eliminated by Orwellian, authoritarian policies with cooperation by the major media organizations. They will also delve deeply into the startling reality that secretive covert intelligence groups are using advanced technology and reverse engineered science to create new forms of breakaway energy totally hidden from the public! Mr. Hellyer is the only cabinet level official to break his silence and say on the record that ‘UFOs are as real as the airplanes flying overhead.’ He will go even further in this interview and reveal secret confirmations he has received that an extraterrestrial presence is operating in our skies in these unidentified craft. As a former Minister of Defense and Deputy Prime Minister with an impeccable career in serving the public interest, his bold revelations may be a major turning point in our time and a paradigm shift that has shocking implications for the entire world!